Deco Weenie – Don't Be A Weenie, Decorate Like A Man! It’s finally time to put your home on the market and start a new chapter of your life. It can be so exciting that you forget to think about all the things you need to do to your home before it’s in prime condition to sell. You could make an endless to-do list and get overwhelmed with all the tasks you’re facing, or you could slow down, take a breath, and start with some simple things that will have the most dramatic effect on your home’s market appeal. You’d be surprised how much a fresh coat of paint can transform your home. It’s essential that you paint your entire home from top to bottom – including the exterior – so it’s looking fresh and bright when buyers come to see it. Painting a whole house is a big job, and it’s not something you’re going to want to take on by yourself. Hiring painters will take the burden off of you and will guarantee you’re left with stunning, professional level results. Remember that while you might love the look of bright, quirky colors, most home buyers will be most attracted by a relatively muted, neutral color palette. 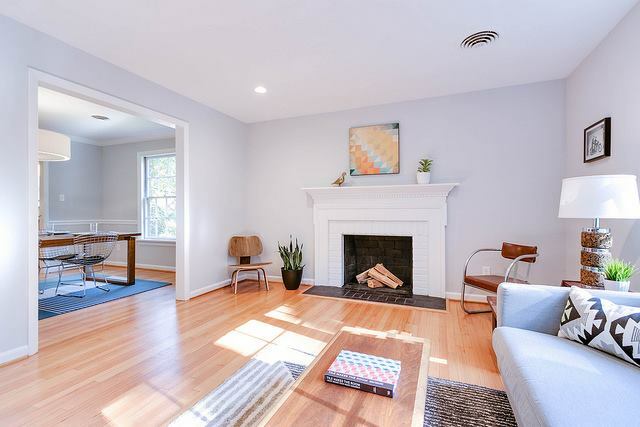 Painting with neutrals allows potential buyers to imagine their own style and décor in the home instead of being stuck on whether or not they jive with your tastes. If you want some help choosing colors, ask your painters if they can refer you to any color experts. And we mean everything. Bleach all the grout and tile in your home so that it shines like new. Hire a carpet cleaning company to deep clean your carpets and rugs and remove any stains. If you have hardwood floors, give them a good polish to avoid the dingy look. Clean every nook and cranny of your bathrooms and kitchen, and make sure everything smells nice and clean. Spend a day or two decluttering your home – including your storage spaces – and store the clutter in a storage locker, so it doesn’t mar people’s opinion of your house. It’s also recommended that you make sure your landscaping is looking its best. Trim any bushes or trees, mow the lawn, and get rid of any weeds. Remember that if you’re hiring painters, you may want to wait until after painting is complete to start your deep cleaning. The modern home buyer is more concerned with energy efficiency than ever before. To attract millennial buyers, consider investing in energy efficient replacement windows, a programmable thermostat, quality insulation, and Energy Star appliances. If you want to go the extra mile, you could even install some solar panels on your roof. That will really make energy efficient buyers remember your home. Hiring a professional to inspect your home from top to bottom before putting it on the market is a great idea. You’ll be able to take care of any small repairs before people start touring it, and you’ll be alerted to any more significant issues. If you can’t afford to fix those issues, at least you’ll be prepared to address them in a positive, transparent way with potential buyers instead of being surprised by the results of their inspection. Make sure your inspector checks out your HVAC system and your roof to identify any issue there as well – these are things that buyers may specifically ask about, and you want to have honest answers ready. Dealing with plumbing problems any time of the year can be frustrating, but it can feel particularly disastrous in the winter when all you want to do is relax in a warm home where everything is working perfectly. Finding a reliable, trustworthy plumber can save you from being surprised by a plumbing crisis this winter, and if disaster does strike, knowing what plumbing company you can call for help will make the entire repair process easier and less stressful. These four problems are extremely common during the winter, and you should be on the lookout for all of them. This is the biggie. Frozen pipes are extremely common in the wintertime, especially when temperatures suddenly dip below freezing without giving you time to prepare. The worst-case scenario with frozen pipes is that they’ll burst and cause serious damage to your home’s foundation, but even your average frozen pipe situation can be extremely inconvenient. To avoid frozen pipes this winter, let warm water continuously drip out of your faucets when the temperatures get super cold. 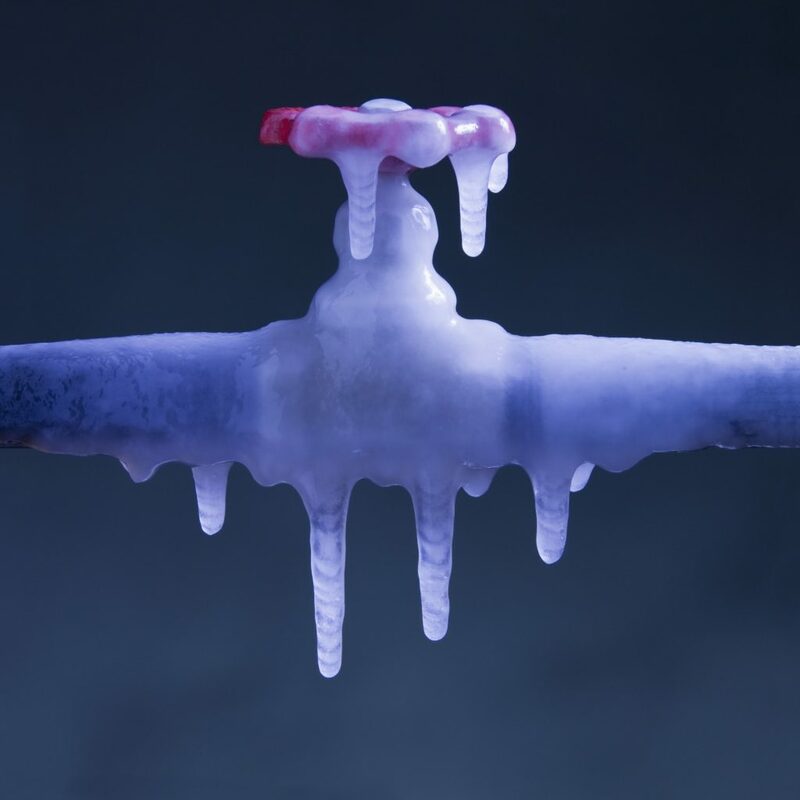 Having constant motion through your plumbing can help prevent freezing. You can also call a plumber to see if they can add some additional insulation to your pipes so that you won’t have to worry about them freezing over. 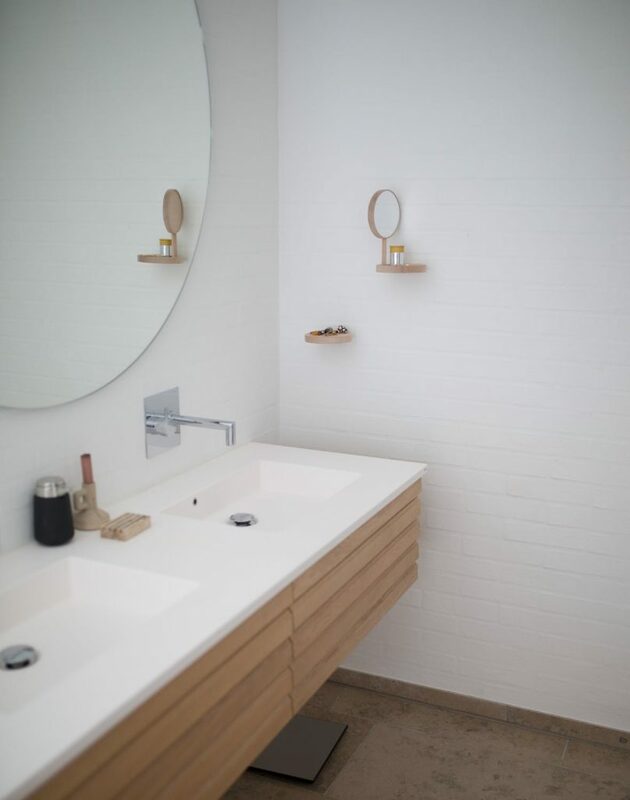 Hot baths and showers can be our saving grace during the frigid winter season. There’s nothing worse than stepping into the shower only to realize that your water heater has failed, and you only have freezing cold water to work with. It’s a good idea to call a plumbing company to come to inspect your water heater and perform any necessary repairs. They may be able to catch small issues early and fix them before they snowball into bigger problems. You should also check up on your water heater every once in a while to make sure your pilot light is always on and that your water heater isn’t set much above 140 degrees. If your home uses a septic tank, you might not know that it can freeze over and burst in the winter. If this happens to you, it’s crucial that you call a plumber immediately instead of trying to deal with it yourself. Burst septic tanks are serious issues, and they need to be handled by a professional. It’s never a bad idea to call in a plumbing company to perform some routine maintenance on your septic tank once or twice a year to make sure it’s in good shape. While clogged drains can certainly happen any time of year, they’re particularly common during the winter season. People tend to prepare bigger and more complex meals during the holiday season, which can lead to more grease, oil, and food debris going down the drain. The holidays also mean that you may have guests staying with you for days on end, which puts more strain on all of your plumbing. As soon as you notice that a drain is backed up, call in a plumber to deal with it so that the issue doesn’t get worse. You’ll be glad you were proactive about it instead of ignoring it until it became a seriously unpleasant problem. When it comes to buying rugs, you have a lot of choices to make. You have to decide what style of rug you want, what colors and design will look good in your home, what size you need, and what material you should choose. While there are distinct advantages and disadvantages to every type of rug, you might want to consider investing in a high-quality wool rug. Wool rugs are typically hand-woven, which allows the artist to create more intricate patterns and designs using a specifically chosen color palette. Wool rugs have a soft texture that looks and feels expensive and luxurious. Wool is a dense material that acts as a natural noise dampener, which will cut down on annoying noise transfer between floors of your home. Wool is also a flame-resistant material and is much less flammable than synthetic materials like polypropylene, acrylic, nylon, and polyester. And, since wool is a natural fiber, it’s a more sustainable choice that’s better for the environment. How Long do Wool Rugs Last? One of the most distinct advantages to choosing wool rugs is how long they last. Well-made wool rugs can last decades and decades in excellent condition if they’re maintained properly. Wool rugs can become family heirlooms that get passed down from generation to generation without losing their beauty. Wool won’t become worn or matted down due to years of foot traffic like synthetic rugs will, and they’ll look new and beautiful for longer. How do you Clean Wool Rugs? There’s a common myth that wool rugs are impossible to clean, but this couldn’t be further from the truth. 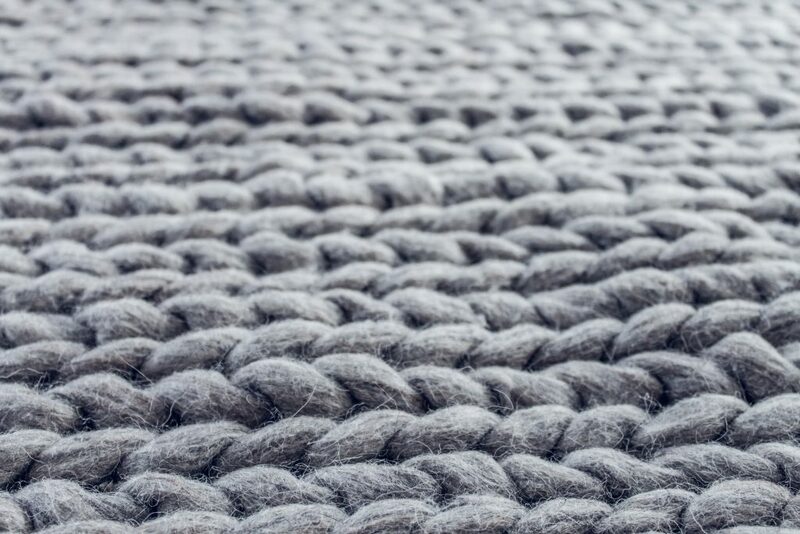 Wool rugs are surprisingly easy to keep clean. Experts recommend that you vacuum your wool rugs about once every 1-3 weeks to keep them looking bright and clean. Because wool is a natural water repellant, stains won’t sink in as fast as they would with synthetic materials. If you catch a spill early, you may be able to soak it up with a cloth or paper towel without it leaving behind any trace on your rug. If your rug does get a serious stain, find a Greensboro rug cleaning service that specializes in stain removal from wool rugs. All Star Chem-Dry is a Greensboro rug cleaning service that can remove stains from all kinds of rugs and offers deep cleaning for wool rugs. Chem-Dry’s rug cleaning method allows wool rugs to dry in a fraction of the time of other Greensboro rug cleaning services. They’ll remove dirt, dust, allergens, and bacteria from your rugs while also leaving them looking bright, new, and beautiful. Most of us like to think we keep a relatively clean home, so we don’t even need to worry about flea infestations, right? Wrong. Fleas can infest even the most immaculate home, and a few fleas can turn into a full-blown infestation in as little as a week. If you are dealing with a flea infestation at home, don’t panic. There are a ton of things you can do to get rid of your current infestation and prevent new infestations from occurring. Vacuuming is one of the most effective ways to control a flea infestation and prevent future infestations from taking hold of your home. Vacuum your floors – focusing on your carpets and rugs – every single day, twice a day, until the infestation is eradicated. Immediately after you vacuum, empty the canister or throw away the bag in an outdoor garbage can. There could still be live fleas in there that you don’t want to escape back into your house. Most flea infestations start with household pets. Regularly bathing and grooming your pets can do a lot toward keeping flea infestations at bay. Soap and water can be strong enough to kill fleas on its own, so try and give your pets a bath at least once a month. If they currently have fleas, bathe them weekly. You should also buy a good flea comb and comb through their coat as often as possible. Start on their head and comb all the way through. Be prepared to quickly dip the comb in a bowl filled with liquid soap and a little bit of water, so the fleas on the comb don’t are killed. You should also ask your veterinarian about preventative flea treatments for your animals. They may be able to recommend treatments that will keep fleas away from your pet all year round, so you never have to deal with fleas in your home again. If you’re concerned about putting chemical treatments on your pet, ask your veterinarian if there are any natural products or home remedies that they recommend. The professionals at Wellesley Animal Hospital will make sure to guide you toward the right flea control and prevention products for your pet. Fleas can also live outdoors, and they could be entering your home from your yard or crawl space. Sprinkle some diatomaceous earth around the foundation of your home and around any possible entry points to keep fleas from coming inside. You can also put cedar chips on the edge of your lawn to stop fleas from coming onto your property from surrounding woods or tall grasses. Flea treatment and prevention is all about consistency. You have to make sure to keep your home consistently clean and vacuumed and be vigilant about checking for signs of fleas on your pets. Get your furry friends on a regular grooming schedule and ask your veterinarian for more tips on keeping your animals flea-free. Your home should be your oasis, and you should never have to deal with unwanted intruders. Follow these tips, and you’ll be well on your way to a flea-free home. The days are shorter, the weather is colder, and that means it’s time to start getting ready for the holidays. There are decorations to put up, gifts to buy, parties to get ready for, and meals to plan, but in the midst of all that fun preparation, it’s crucial that you don’t neglect to properly prepare your home for the holiday season. These five tips will ensure that you and your family can enjoy a safe, festive holiday season free from worry. There is nothing better than curling up by a crackling fire with a good book or a loved one during the cold winter months. It’s vitally important that you properly maintain your fireplace so that it continues to operate safely and efficiently. Hire a professional maintenance service to clean and inspect your fireplace and chimney before the cold weather sets in. They’ll remove any buildup from your chimney walls and check that everything is in good working order. It’s well worth the money to be confident that your fireplace is safe and functional this winter. You should also consider installing a stainless-steel liner to keep the fire and embers completely contained within your fireplace, and make sure you have a good protective grate. It’s also recommended that you keep a fire extinguisher close to the fireplace in case of emergency. You might not realize that holiday decorations can be dangerous for small children and pets under the wrong circumstances. 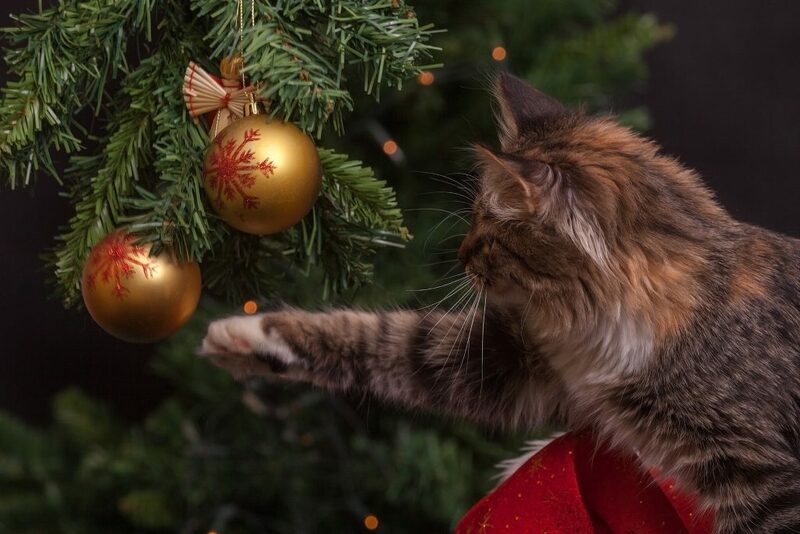 Animals and babies are attracted to anything shiny or sparkly, and they’re going to want to pull down any ornaments or decorations that are within their reach, which is a serious choking hazard. If you have pets or small children running around, avoid decorating with things that could be easily pulled off and ingested, like tinsel, and don’t hang any ornaments on the lower boughs of your tree. You should also consider choosing shatter-proof ornaments instead of delicate glass, crystal, or ceramic ones. That way, if one does fall, it won’t shatter into sharp pieces and pose an immediate threat to your pets’ or children’s safety. Also, remember that many traditional holiday plants are toxic to humans and animals. Keep things like holly and mistletoe out of reach or avoid using them altogether. Twinkling lights and elaborate holiday-themed displays are a great way to get people into the holiday spirit but don’t forget that you could easily overload your electrical system by plugging in too many decorations and lights. If holiday decorations are your favorite thing, consider calling in an electrician or professionally handyman to install them for you or at least to inspect your electrical system to make sure it can handle the extra strain. To find a reputable company, you can simply search for “handyman services near me” and choose a company with excellent reviews and a wide array of services. You could even have the electrician install an extra circuit or a whole-home surge protector just to be safe. No one wants to finish up the holiday season by getting an enormous electric bill in the mail. Having your holiday decoration and lights on all the time have a drastic effect on your home’s energy costs. Connecting your decorations to timers is a great way to keep your energy costs down while still enjoying the festive season. You can buy high-tech programmable timers that you can set to your specifications, or you can go with a standard mechanical outlet timer. Timers ensure that your decorations and lights won’t be on all day and night, and you won’t have to worry that you’ll forget to turn them on or off. The holiday season is one of the most popular times for travel, whether you’re going on a tropical vacation to escape the cold or traveling to another city to visit family. However, all that time away from your home leaves it vulnerable to break-ins and vandalism. If you’re planning to travel for multiple days, ask a friend or neighbor to take in your mail for you. If there’s a snowstorm while you’re away, try to coordinate with a service or a friend, so they can shovel your walk and driveway to make it look like someone is home. Consider installing motion sensor activated lights on the exterior of your home to discourage trespassing and set your interior lights on timers, so they turn on and off as if someone was home. Also, make sure to unplug all unnecessary decorations and appliances to decrease the risk of a house fire. When someone mentions window tint, your mind probably jumps to an image of a large, intimidating car with darkly tinted windows. What you might not realize is that window tint is actually used on home and office windows all around the world. High-quality window tint brings so many benefits along with it. Here are five ways window tint can dramatically improve your home or office. Wait, how can spending money getting window tint installed in my home or office save me money in the long run? Window tint is actually an extremely cost-effective way to lower your energy costs over time. It’s been shown that window tint can reduce the heat coming into your home, office, or vehicle by 60% or more. That means that you won’t have to run your air conditioning as intensely during the hot summer months, and you’ll be able to keep your home or office at a more consistent temperature all year round. Your heating and cooling systems won’t have to work as hard, and you’ll be seeing major savings on your monthly energy bills. And, since your air conditioning won’t constantly be running in the summer, it could end up lasting years longer, which will save you even more money by preventing you from having to replace your entire system. Because window tint blocks the sun’s rays, it can prevent your furniture, carpets, rugs, and floors from fading due to constant exposure to the sun. You won’t have to deal with the frustrating decision of whether or not to replace your couch or rugs because one area is dramatically lighter than the rest. Your home or office will stay looking bright, new, and beautiful longer when you invest in window tint. Whether you’re sitting in an office staring at a computer all day, or simply trying to enjoy your favorite TV show or movie at home, glare from the sun can make using electronics difficult and annoying. Glare makes it hard to see your screen clearly and trying to read text on a screen through glare can cause severe eye strain. Window tint dramatically reduces the glare from the sun and makes using electronics or even reading a book vastly easier and more comfortable. One of the most significant long-term benefits of investing in window tint is that it is specifically designed to block the sun’s UV rays. Exposure to UV rays can lead to serious health problems like skin cancer. While it’s virtually impossible to make sure you’re never exposed to these harmful rays, having window tint installed on your home and office windows will greatly reduce your level of exposure. We spend so much time in our homes and offices, and you can feel safer knowing you’re not absorbing UV rays during those long hours at work or while you’re relaxing at home. Protecting your health is the most important thing you can do, and window tint is an easy, cost-effective way to do so. 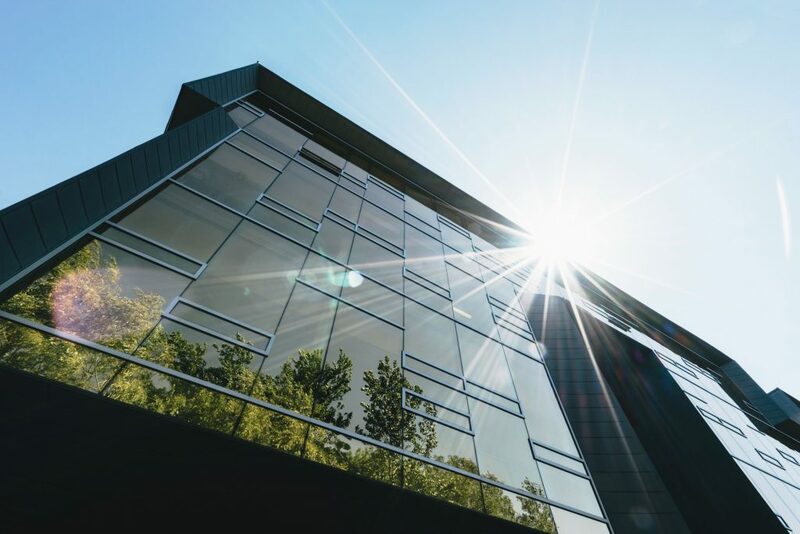 If you’re thinking about investing in window tint for your office, it’s important to know that window tint can have a surprisingly positive effect on employee productivity. Inconsistent temperature, high levels of glare, and too much outdoor light can all negatively impact day-to-day productivity. After all, we need to be comfortable in order to do our best work and sitting in an office that too hot or looking at a computer while being half blinded by glare isn’t conducive to getting work done. Window tint can solve all of these problems and provide your employees with a more comfortable work environment. If this is one of the reasons you’re thinking of investing in fencing, make sure to work with an expert and choose a fence that’s tall enough that your pets can’t jump over it. It also needs to go deep enough into the ground that they can dig under it. Fencing Unlimited in Richmond will walk you through all your options and help you choose the right type and style of fence to address these concerns. A fenced in yard makes a home look complete and well-maintained. It sends a message that you take pride in your home, and you invest in keeping it looking its best. The right kind of fence can even enhance the façade of your home or draw people’s eye to your beautiful landscaping. Curb appeal is a huge factor when it comes to selling a home, so if you’re thinking of putting your house on the market any time soon, adding a fence could help you bring in more offers. Some people want to hang out on their back porch or deck and relax without having to deal with the prying eyes of neighbors or passersby. A privacy fence will give you the freedom to do just that. You’ll want to make sure to talk to an expert, like those at Fencing Unlimited in Richmond, to determine the best style and material for your privacy fence. You might think that if people are going to trespass on your property, a fence isn’t going to stop them. However, it’s been shown that if there’s any obstacle in their path, trespassers are more likely to seek another target. Having a well-constructed, high-quality fence can do wonders for deterring crime and protecting your property. Fencing can also help keep wild animals out of your yard, so they don’t invade your home or ruin your garden. When you start thinking about all the home improvement projects on your to-do list, it’s easy to get overwhelmed and decide to put everything off for another time. With all these big, time-consuming projects on your mind, it can be easy to neglect thinking about smaller projects like carpet cleaning. After all, who cares if your carpets look a little dingy when you have a whole list of bigger things you need to accomplish? What you might not know is that getting your carpets cleaned by a professional is about so much more than just maintaining their appearance. Professional carpet cleanings can actually have a dramatically positive effect on your home’s overall health and cleanliness. Carpets are constantly working to filter contaminants out of your home’s air. In fact, all the soft surfaces – including carpets, upholstery, and rugs – in your home work together to form a kind of air filtration system for your home. As air circulates, particles of dust, dirt, allergens, and bacteria get trapped inside the individual fibers of your carpets, rugs, and upholstery, which prevents them from being inhaled by you and your family. After a while, the fibers of your carpet will become so full of dirt and dust that they’ll start to fray, and they won’t be able to filter any more contaminants out of the air. Curtice Chem-Dry is the best choice for Redondo Beach carpet cleaning, rug cleaning, and upholstery cleaning. While many other carpet cleaning services use the steam cleaning method, Curtice Chem-Dry uses a cleaning method called Hot Carbonating Extraction (HCE) which was specifically designed to clean for your health. HCE is a low-water process that uses the power of carbonation to lift all the dirt, dust, bacteria, and allergens trapped in your carpets to the surface, so they can be easily extracted. Curtice Chem-Dry combines the HCE process with an all-natural, green-certified, non-toxic cleanser that doesn’t contain any soap or harsh chemicals like other common cleaning solutions do. HCE is tough on contaminants but gentle on dyes and fabrics, so your carpets, upholstery, and rugs will look vibrant and beautiful while also getting a deep, long-lasting clean. Because HCE uses so little water – 80% less than a typical steam cleaning services – your carpets will be able to dry in just two hours. With steam cleaning, carpets often take multiple days to dry out completely. The HCE cleaning method was even studied by a leading independent laboratory, and they found that HCE removes an average of 98% of common household allergens from carpets and upholstery. When a sanitizer is added to the process, the lab found that HCE also removes an average of 82% of bacteria from carpets and 89% of the airborne bacteria from your home. Getting your carpets cleaning by a professional might seem like a small thing, but it can have a huge effect on how your home looks and feels. Instead of getting overwhelmed by the thought of tackling all your home improvement projects at once, start by getting your rugs, upholstery, and carpets cleaned by a professional. You’ll be amazed at how bright and new your home will look once it has freshly cleaned carpets. For Redondo Beach carpet cleaning that leaves you with an overall cleaner, healthier home, look to Curtice Chem-Dry. Even the most loyal and disciplined pet can have a bad day. We all can. And on days when we’re not at our best, we may need to go to the bathroom unexpectedly. For most people, that’s not a problem. But when it happens to a pet, an unfortunate accident on the carpeting can be the result. Simply put: If you’ve got a pet, you’re going to have wet carpets now and then. The key is to deal with them efficiently and effectively. 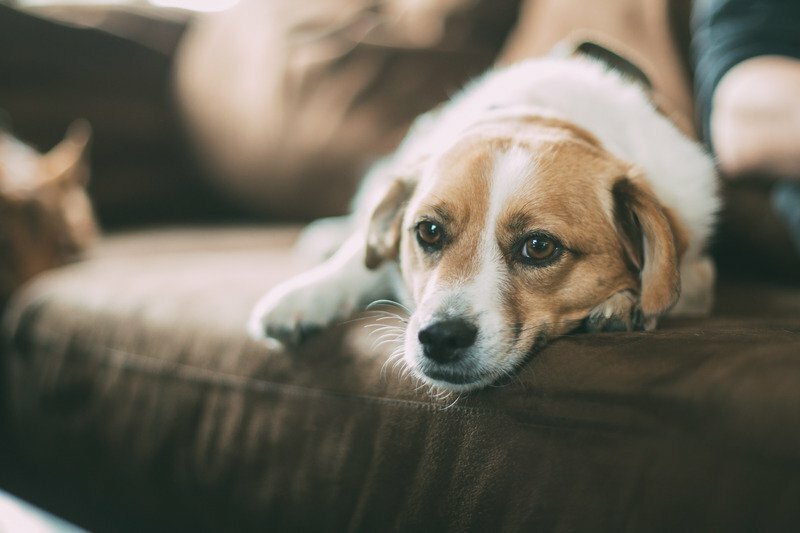 After a pet urinates on your carpet, you’ll want to address the issue as soon as possible. Start by placing a thick layer of plain white paper towels or a cotton cloth over the accident. Then step onto the towels or cloth to help them absorb any wet urine; repeat this until you’re no longer pulling up more than a hint of moisture. Once you’ve removed as much urine as possible, you’ll need to deal with what’s left. If you have any white vinegar on hand, you can create your own effective and color-safe cleaning solution; simply mix a half and half solution of vinegar and half water. Then slowly pour your cleaning solution into the carpet; keep in mind that the solution needs to penetrate at least as far into the carpet as the urine did. After letting the solution work for a few moments, blot it our using another layer of plain paper towels or a cotton cloth. After a couple of hours, before the treated area dries, check to see if there is any residual urine odor. If so, you’ll want to add one more step to the cleaning: Apply a dusting of baking soda to the area, and then vacuum it away after 15 to 20 minutes. If your cupboards are bare more often than not, a home remedy might not be your best option. Thankfully you’ll find that several store-bought remedies are also very effective. My personal favorite is the Original Stain & Odor Remover spray from Nature’s Miracle; this formula uses enzymes to break down stain- and odor-causing materials. I’ve had equally excellent results when cleaning both urine and the stains and odors left by poop and vomit. Note: Be sure to test any cleaning solution on your carpet prior to using it in a prominent area. I once mistakenly purchased a different spray from Nature’s Miracle; I didn’t realize my error until I pulled a little color out of my carpet. When you deal with pet accidents quickly, you’re almost certain to eliminate any stains and odors. But when your pet urinates, and you’re not able to discover it before it dries, treatment can become more complicated. That’s because urine can penetrate deep into the padding underneath the carpet, and even into the base underneath. In these cases, you may require the services of a professional cleaner, such as Chem-Dry. Professionals that specialize in pet urine removal have more powerful cleaning solutions – and more powerful extraction equipment – than we do. So they can pull up more staining and odor-causing materials from deep under the carpet surface. In fact, Chem-Dry claims that their specialized treatment can remove 99.9% of urine odors (as well as 99.2% of the bacteria). With any luck, you’ll be able to be able to handle any pet accidents on your own, without suffering any lingering stains or odors. If not, remember that you don’t have to live with the issue – professionals are always available to help.